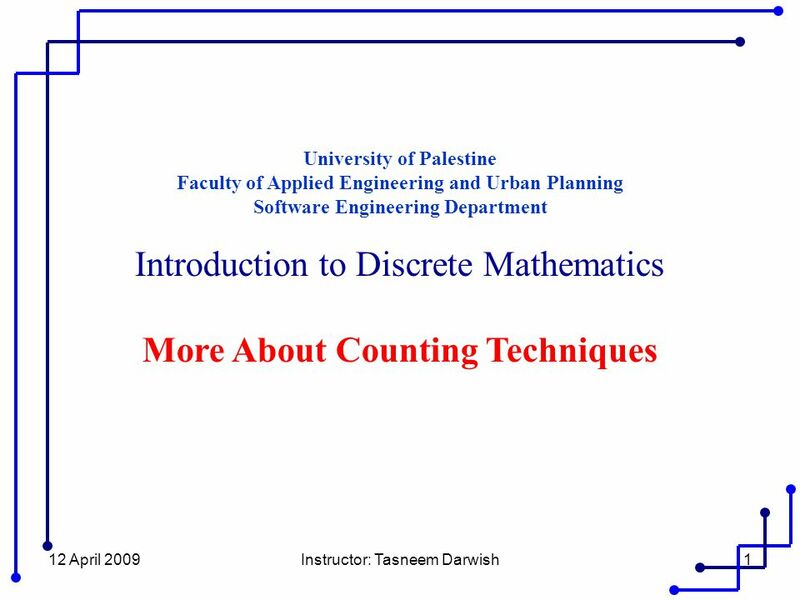 12 April 2009Instructor: Tasneem Darwish1 University of Palestine Faculty of Applied Engineering and Urban Planning Software Engineering Department Introduction. 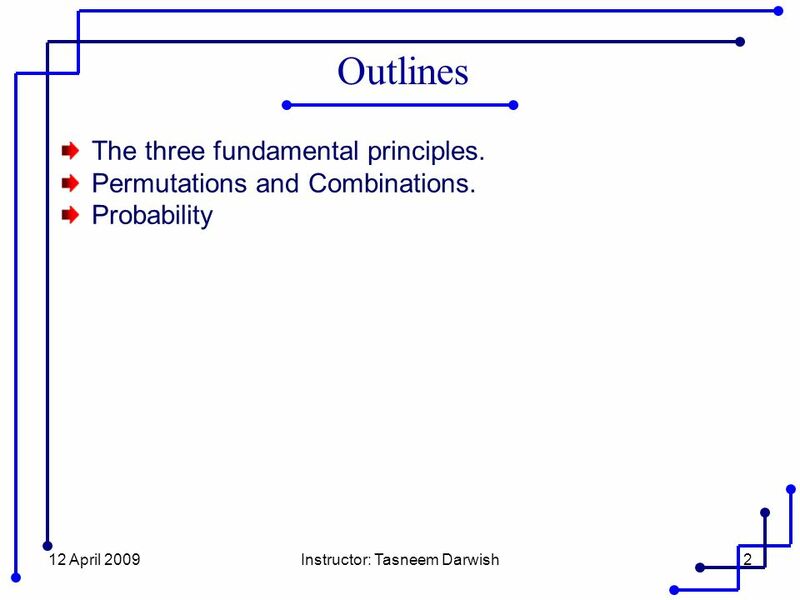 Download ppt "12 April 2009Instructor: Tasneem Darwish1 University of Palestine Faculty of Applied Engineering and Urban Planning Software Engineering Department Introduction." 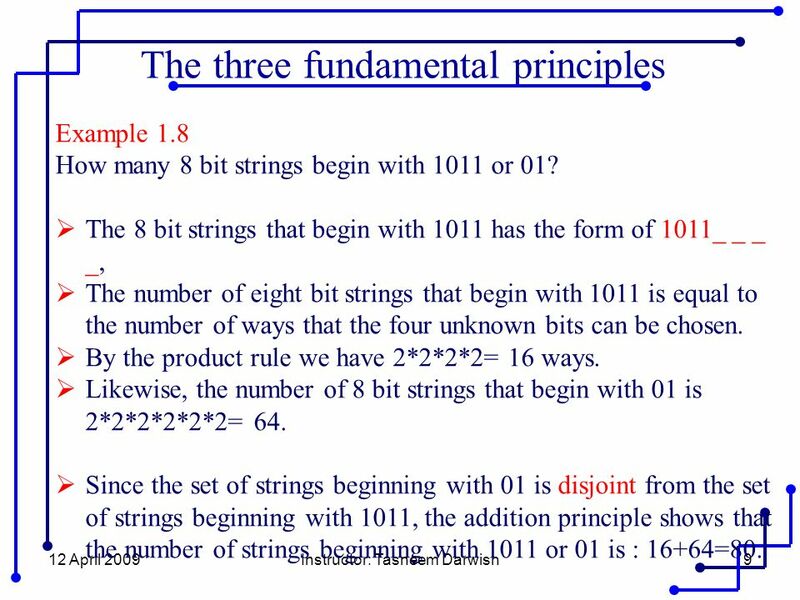 4-1 Chapter 4 Counting Techniques. 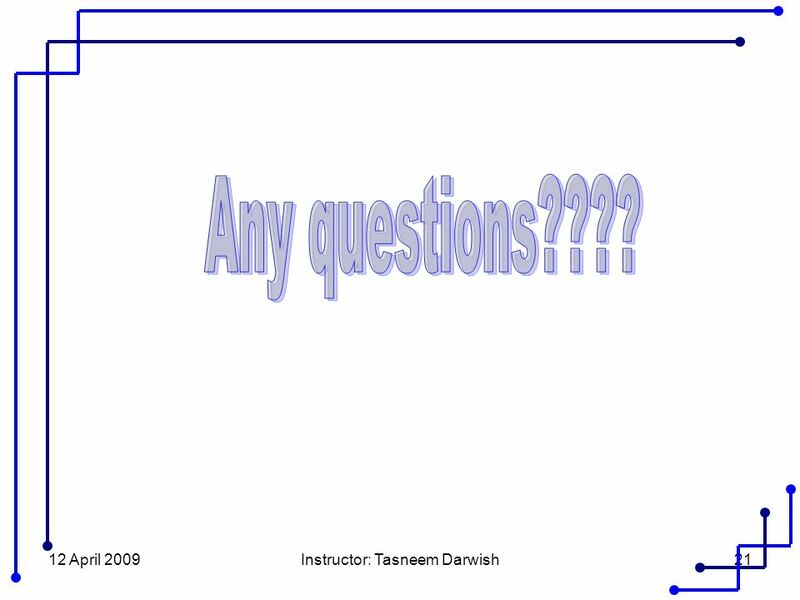 18 April 2009Instructor: Tasneem Darwish1 University of Palestine Faculty of Applied Engineering and Urban Planning Software Engineering Department Formal. 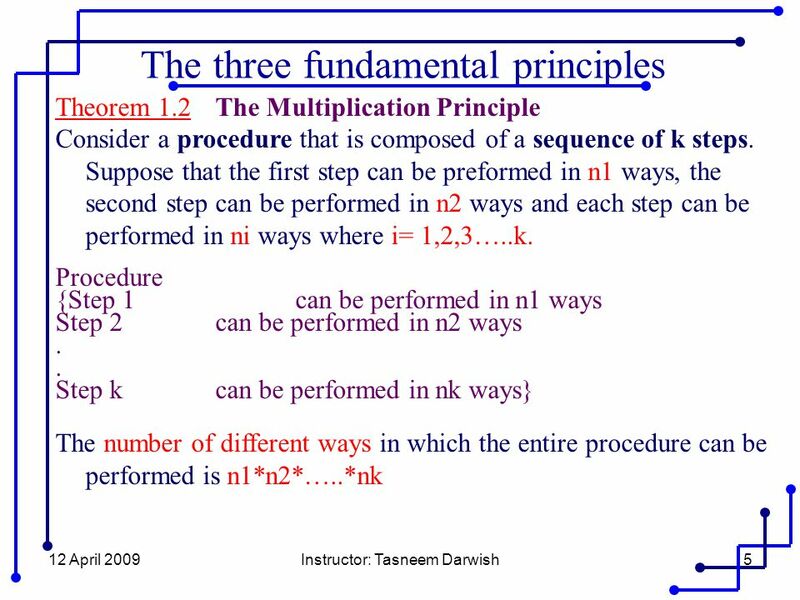 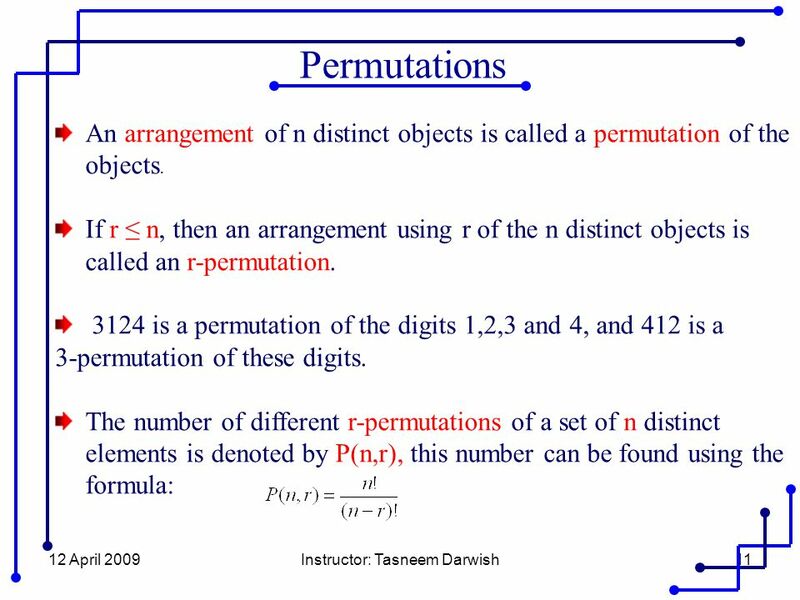 22C:19 Discrete Math Counting Fall 2011 Sukumar Ghosh. 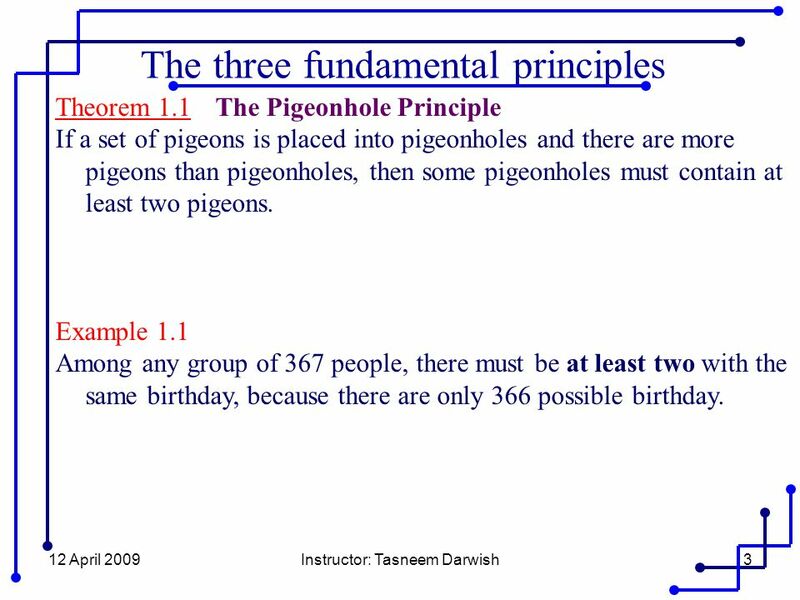 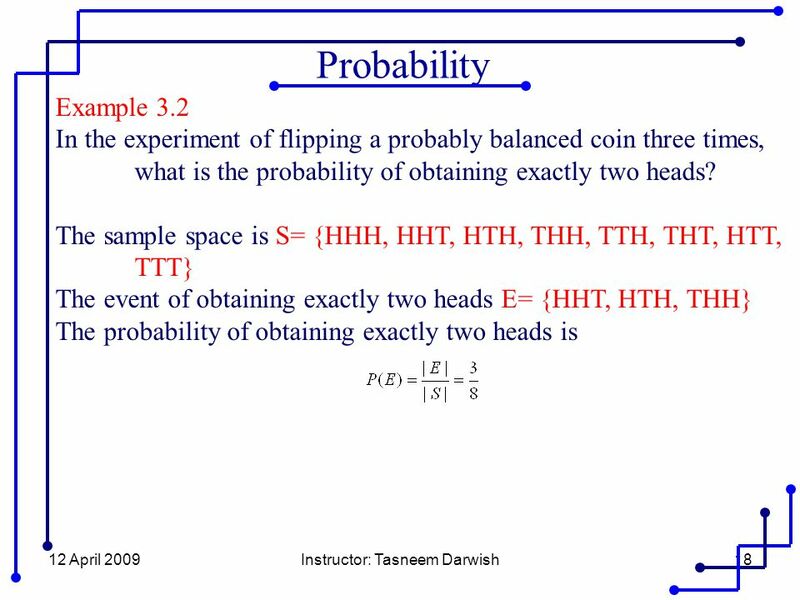 Lecture Discrete Probability. 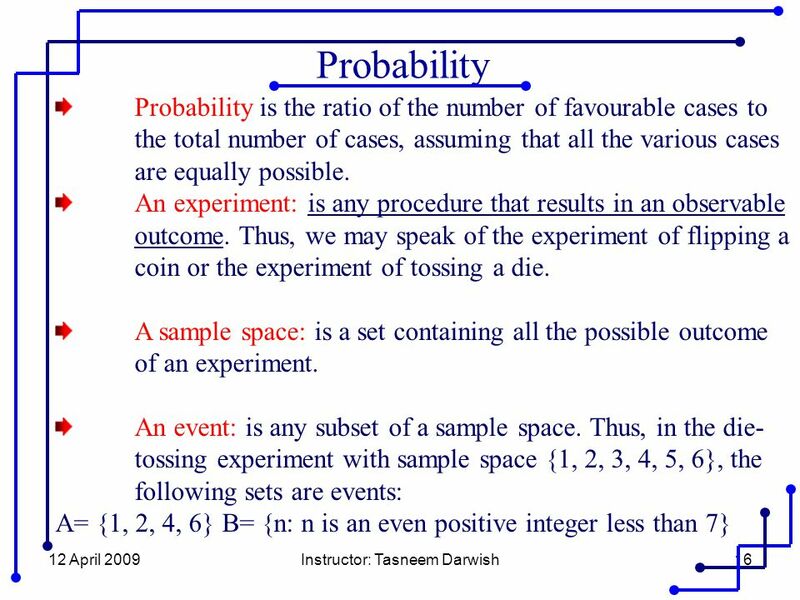 5.2 Recap Sample space: space of all possible outcomes. 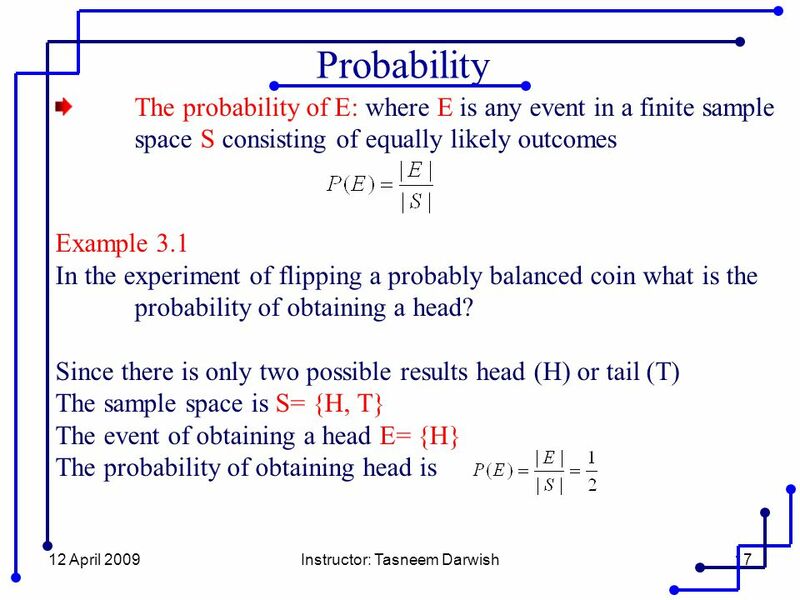 Event: subset of of S. p(s) : probability of element s of. 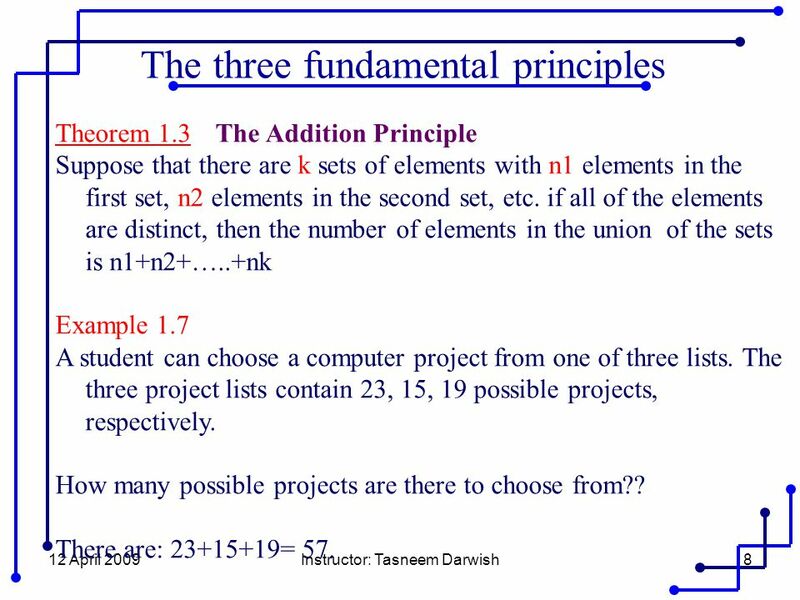 Instructor: Tasneem Darwish1 University of Palestine Faculty of Applied Engineering and Urban Planning Software Engineering Department Software Systems. 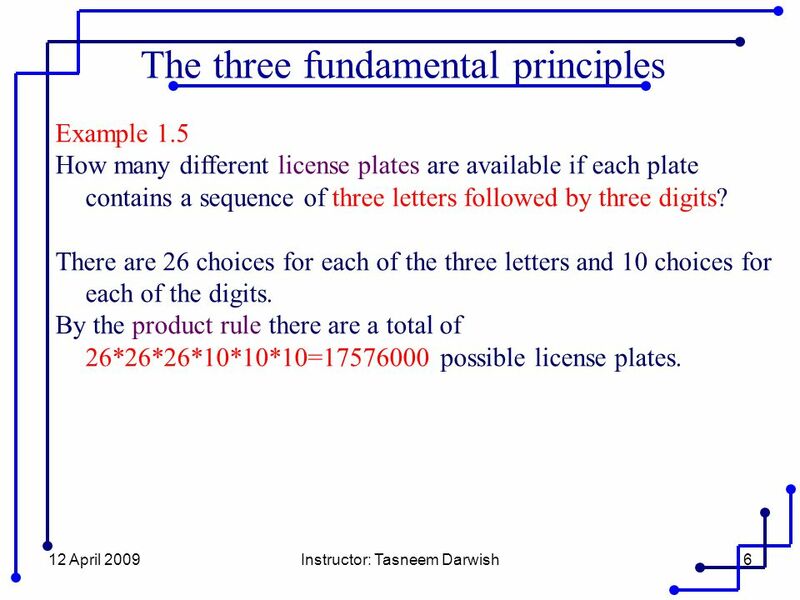 Warm-Up Problem Can you predict which offers more choices for license plates? 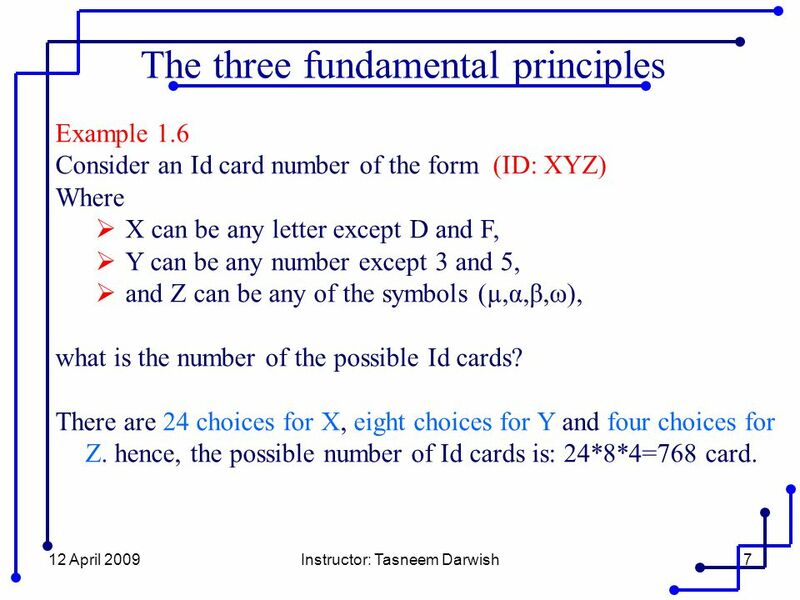 Choice A: a plate with three different letters of the alphabet in any order. 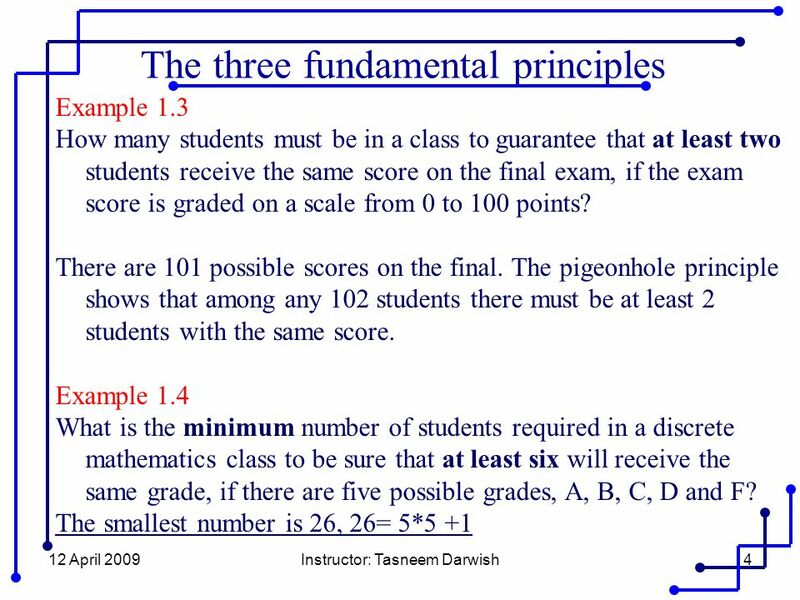 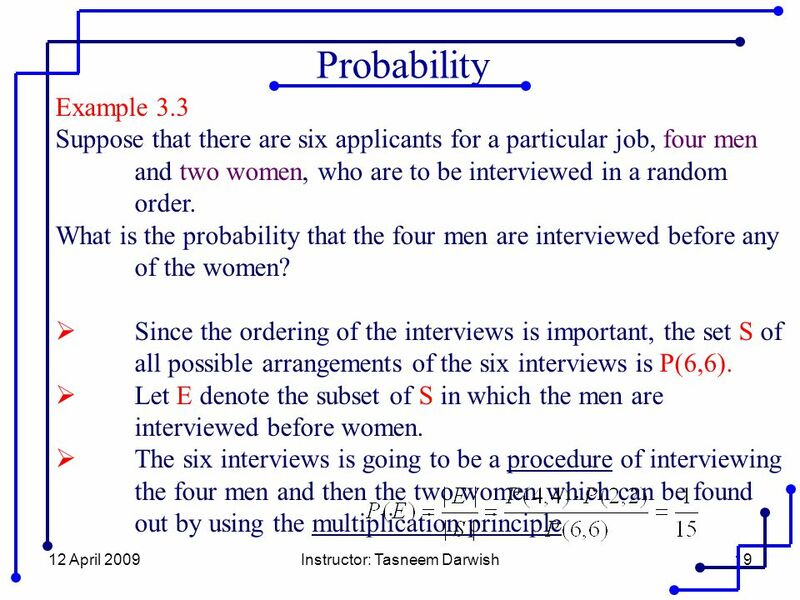 March 31, 2015Applied Discrete Mathematics Week 8: Advanced Counting 1 Discrete Probability Example I: A die is biased so that the number 3 appears twice. 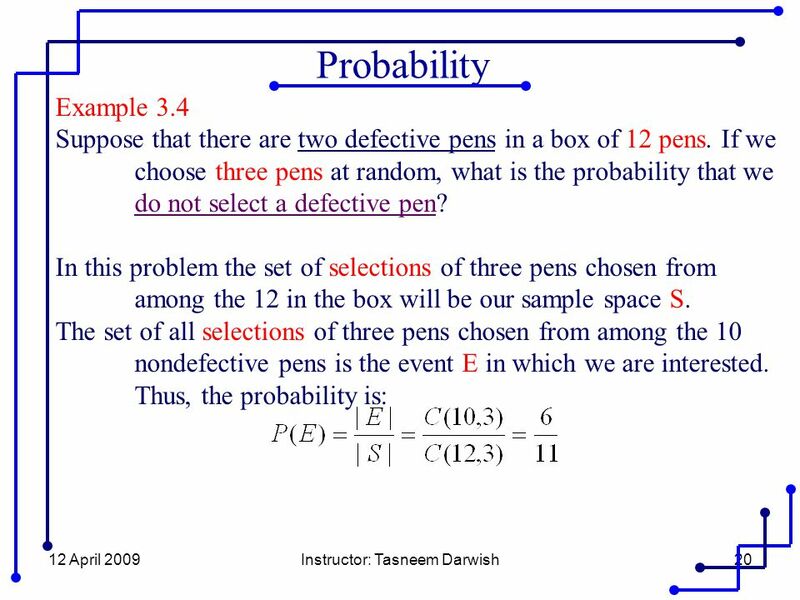 22C:19 Discrete Structures Discrete Probability Fall 2014 Sukumar Ghosh. 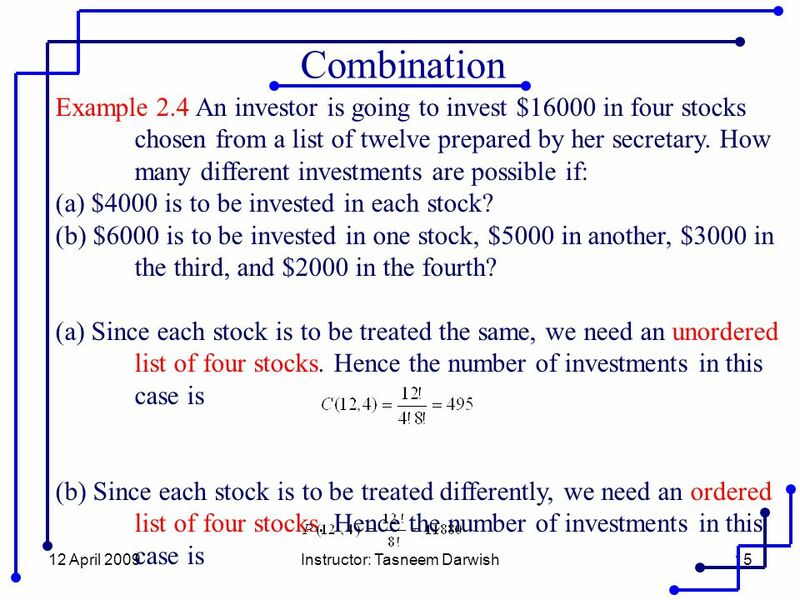 Discrete Structures Chapter 4 Counting and Probability Nurul Amelina Nasharuddin Multimedia Department. 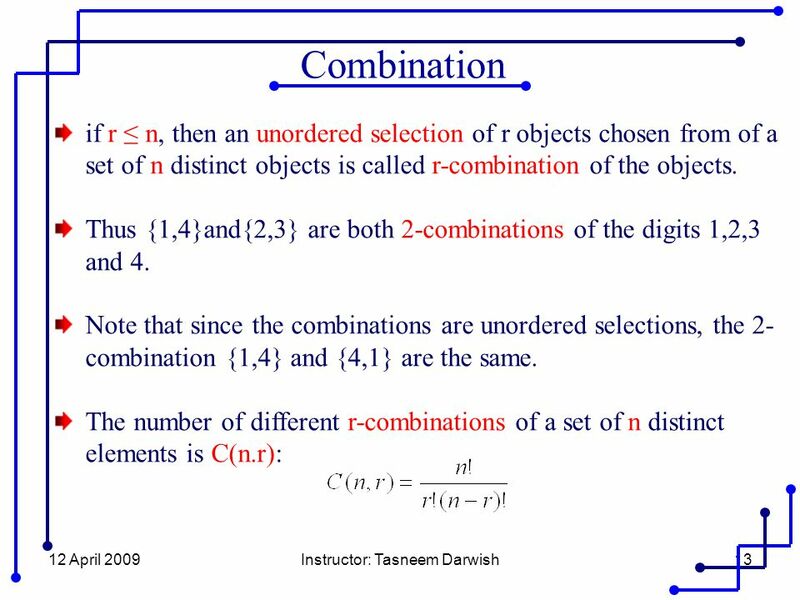 Introduction Suppose that a password on a computer system consists of 6, 7, or 8 characters. 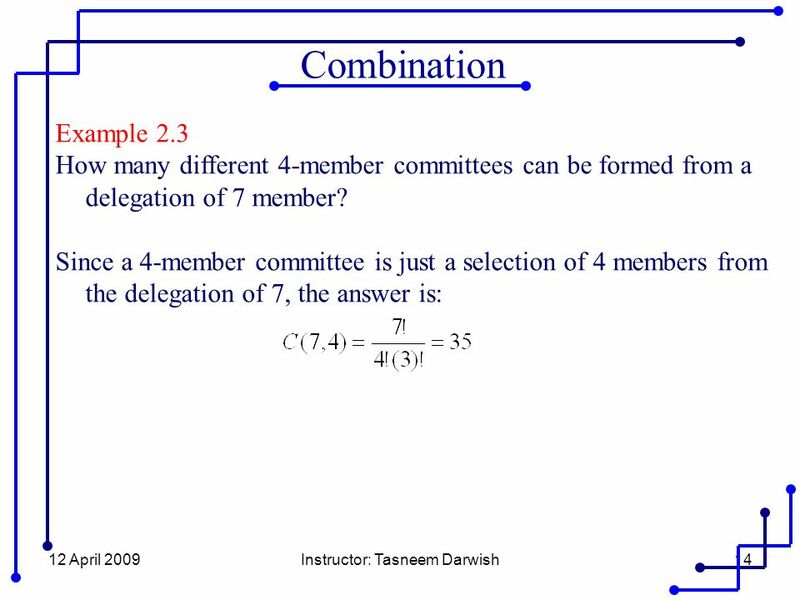 Each of these characters must be a digit or a letter of the.